With so many muzzle devices out there, it’s easy to get confused between flash suppressors, compensators, and muzzle brakes. We’ll go through the differences between each in terms of design and performance. 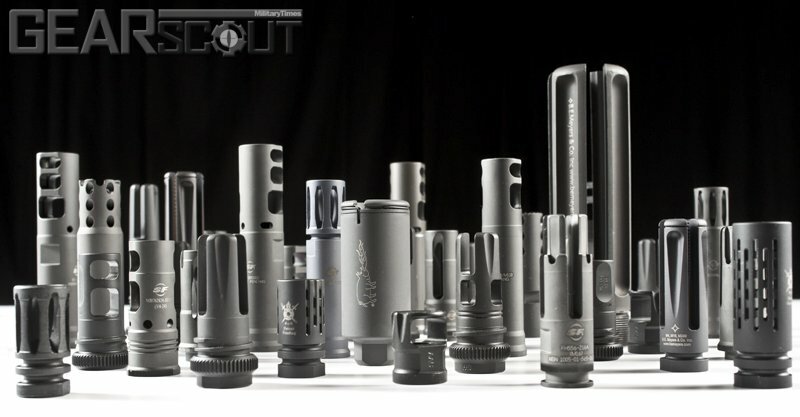 Flash hiders, or flash suppressors, are used to guard the shooter from visible flash. This flash comes from unburned gunpowder and for the most part gets progressively worse as barrel length shortens (AR-15 pistols, we’re looking at you). This is especially important in night time shooting to preserve night vision. A secondary perk is that it also minimizes the flash signature that others see. Be aware that some jurisdictions have laws against flash hiders and minimum overall barrel lengths. Compensators are used to counter the vertical movement up of the barrel (muzzle flip). It does this by venting the hot gases through openings on top so there’s a reaction force downwards. The A2 above has a solid base so the top vents act as a compensator. The design also minimizes dust being kicked up if shooting low to the ground. We don’t know of any pure compensators with just holes on top. They usually have a mixture of muzzle brake in there. The design below is one of the best performing and affordable combinations out there that is based off the venerable Miculek brake. Look for three big openings on each of the sides and a couple holes on top to minimize muzzle flip. 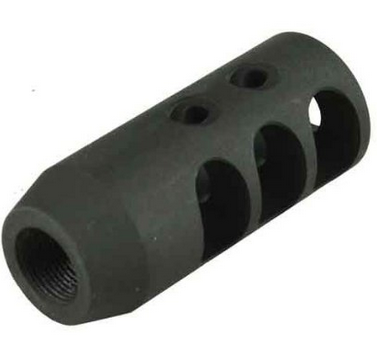 Muzzle brakes help reduce the felt recoil by venting gases to the side. However, this makes it very loud and even forceful (with the pressure wave) for range bystanders or teammates to the side. 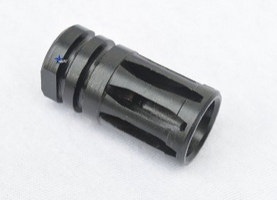 Muzzle brakes and compensators usually have exit areas that are roughly the same size as the bullet. Choosing a muzzle device will depend on your intended use. 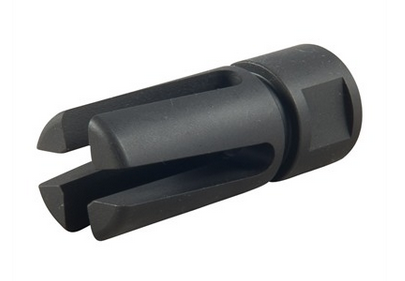 If you’re going to be shooting at night, you’ll likely want a flash hider. 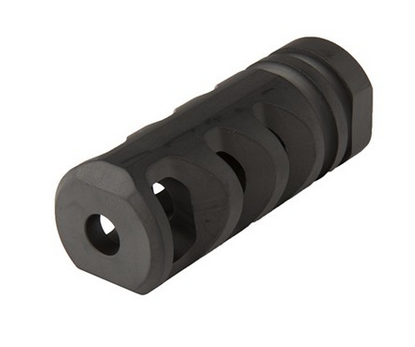 Competition shooters may want a combination muzzle brake and compensator. We’ll cover our recommendations for all price ranges in our next article. Don’t the 1921 Thompsons famously have their compensators with only holes(or cuts) on top? So what category do KAK flash cans and Noveske Flaming Pigs fall under? 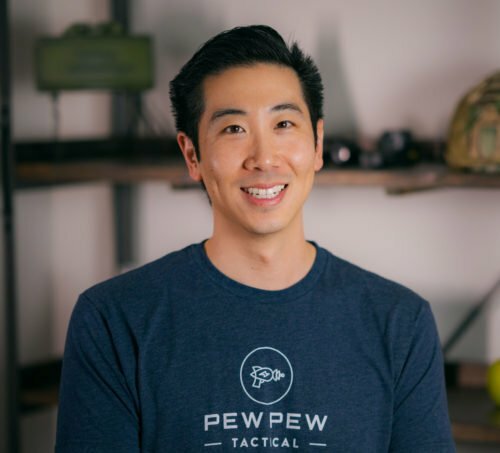 I’ve read many times it is considered a flash hider because of the diameter of the exit bore, but KAK specifically states on their product site that it does not reduce recoil, muzzle rise or flash signature, I’m having a hard time figuring out if it is okay to put this on my featureless AR.